"The economics of carbon taxes"
With the growing need for reform in the US fiscal system, the idea of a tax on carbon has emerged as a possible solution. On Tuesday at AEI, four panels explored the merits and challenges of implementing a tax on carbon, discussing topics ranging from its distributional effects to its potential impact on international trade. Roberton Williams of Resources for the Future began by highlighting three advantages that a carbon tax has over outright regulation, while AEI's Aparna Mathur explained the economic reasoning behind a theoretical tax on carbon to correct for externalities of pollution. Panelists also discussed how carbon taxes would function in an international framework and their potential macroeconomic effects. Karen Palmer of Resources for the Future emphasized the difficulties posed by the complex structure of American government for a carbon tax. Donald Marron of the Urban Institute argued that carbon tax revenues could be used to lower corporate tax rates to increase economic efficiency in the US. Panelists overwhelmingly agreed that more research on the effects of a carbon tax is needed, but that it raises important questions for academics and policymakers alike. It happened mid-November. Video and presentations are here: www.aei.org. The U.S. rejected Kyoto because it didn't impose any binding commitments on major developing countries such as India and China, which is now the world's No. 1 carbon emitter. The U.S. and other Western countries insist that the firewall in the climate talks between developing and developed countries must be removed so that the new treaty can apply to all nations. China and other developing countries want to maintain a clear division, saying climate change is mainly a legacy of Western industrialization and that their own emissions must be allowed to grow as their economies expand, lifting millions of people out of poverty. The rich-poor divide is also deepened by arguments over climate aid meant to help developing countries convert to cleaner energy sources and adapt their infrastructure to rising sea levels and other effects of global warming. We are the ones who make a hotter day so let's start...negotiating in global long-term interests. In case you couldn't tell, I have little experience in songwriting. The Howard H. Baker Jr. Center for Public Policy (http://bakercenter.utk.edu/) in association with the Department of Economics, at the University of Tennessee, (http://econ.bus.utk.edu/) will host a workshop on the Identification of Causal Effects in Environmental and Energy Economics on Monday and Tuesday, July 15-16, 2013, in Knoxville, Tennessee. The purpose of the workshop is to promote research that uses innovative approaches to identify the causal effects of policy interventions, market incentives and social nudges on environmental quality and energy use. Possible identification approaches include, but are not limited to: quasi-experimental and related applied econometric techniques; experiments, including natural experiments, field experiments and laboratory experiments; and structural modeling. 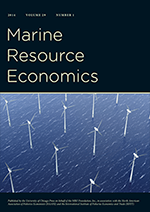 Empirical papers with strong theoretical frameworks are especially encouraged, as are papers that combine environmental and energy topics with other fields of economics (e.g., public, industrial organization, and development). Here is your confidential password, which you will need to access the Elsevier Editorial System at http://ees.elsevier.com/ree/. If you need to retrieve password details, please go to: http://ees.elsevier.com/REE/automail_query.asp. Please save this information in a safe place. Once you log in, you may change your password and other personal information by selecting the "change details" option on the menu bar at the top of the page. If you can spot my login information, please let me know.